Meniscus repair is a knee surgery that repairs a torn piece of cartilage inside the joint. Meniscus tears are common knee injuries, especially among athletes. How do you know if you have a torn meniscus — and if surgery is required to fix it? A meniscus is a c-shaped piece of cartilage that functions as a shock absorber between the bones of the knee. Each knee has two menisci, a medial meniscus (in the inner side of the knee) and lateral meniscus (in the outer side of the knee). The primary job of the menisci is to absorb pressure and distribute your body weight. Menisci also protect your leg bones from rubbing together, which can lead to osteoarthritis. Meniscus tears are often caused by sudden twisting motions. Sports injuries are the most common causes of these, but anyone at any age can injure their meniscus. You're over age 30. Risk of meniscus injuries increases as you age, as the cartilage wears out. You play a sport that involves pivoting (e.g., basketball, golf, tennis). You play contact sports (e.g., football, hockey, rugby). You have a degenerative condition like osteoarthritis. Keep in mind, many meniscus tears are small and may not present as acute injuries. You may find, instead, that you notice your knee behaving differently over time. In some cases, you can treat the pain and discomfort of a meniscus tear with RICE therapy (rest, ice, compression, and elevation) or NICE therapy (non-steroidal anti-inflammatory drugs, like ibuprofen or naproxen), ice, compression, and elevation). However, if you suspect you've injured your meniscus, you should see a doctor. Many meniscus injuries occur in the inner two-thirds of the meniscus, in the "white" zone where blood supply is not as rich. Without nutrients, these injuries seldom heal on their own. Left untreated, a damaged meniscus can lead to other problems in your knee. Loose meniscus cartilage may move around inside your joint, leading to locking or popping of the knee and knee instability. A chronically injured meniscus can also lead to arthritis. Your orthopedic surgeon may recommend minimally invasive knee arthroscopy: the use of an arthroscope (a tube with a camera attached to it) to look inside the knee and diagnose and repair your injury. After administering anesthesia and prepping your knee, your surgeon will use a scope to look inside the joint and determine whether the tear can be repaired or if you will need a partial meniscectomy (removal of the damaged part of the meniscus). If your meniscus tear can be repaired, the surgeon will suture the torn edges together. This technique works in approximately 10% of all cases. Surgeons usually prefer to perform repairs rather than meniscectomies because preserving the meniscus protects your knees from arthritis in the future. However, because the torn ends of cartilage must heal back together, recovering from this surgery can take longer. 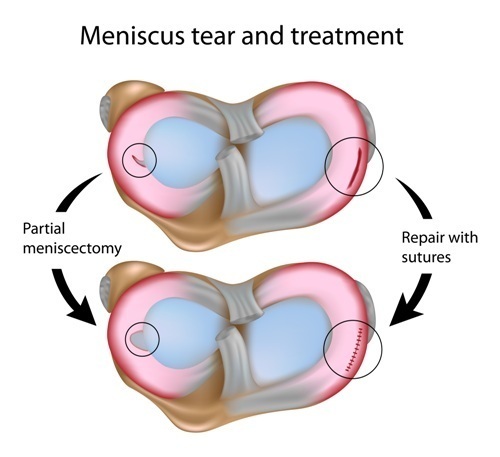 If your tear cannot be repaired (true in an estimated 90% of cases), the surgeon will perform a partial meniscectomy, trimming away the damaged parts of the meniscus and leaving the healthy tissue intact. 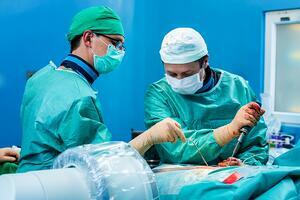 Patients who undergo this surgery often progress faster than those who receive sutures. Less commonly, if the damage to the knee is more extensive, a full meniscectomy (removal of the entire meniscus) may relieve all symptoms. However, most active people prefer to keep as much of their meniscus intact as possible so they can continue to participate in sports and other activities. Removing the meniscus means removing the cushion between the knee bones, which can hasten knee degeneration. In cases of serious damage, bone degeneration, or multiple knee problems, a total knee replacement surgery may be recommended. If using arthroscopic techniques, meniscus surgery repair takes about one hour. Post-surgery, recovery from meniscal repair takes from a few days to six weeks or even months, depending on the individual. Many people are able to get off crutches in a day, but others may need to keep the weight off their knees for a longer period of time. You may need to walk with crutches and/or wear a brace until your knee heals. Remember that everyone is different. No two people heal at the exact same speed. 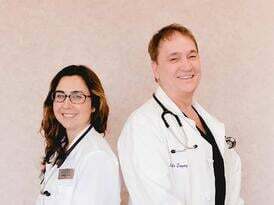 Your recovery time may be faster or slower depending on your age, weight, general health, lifestyle, and other factors (including how well you adhere to your surgeon's post-surgical recovery instructions!). If your surgeon finds evidence of arthritis in other areas of your knee, your recovery may progress more slowly, with more discomfort and pain. To get relief from arthritis pain, some people opt to wear a compression sleeve during recovery. Most surgeons will recommend an at-home exercise regimen to help stimulate healing and get back to your normal activities. 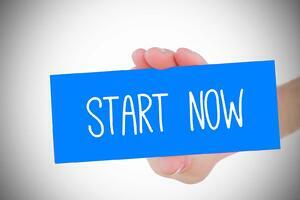 How much you do will depend on your general health and any underlying conditions you may have. In some cases — for example, if you need to return to athletics quickly — physical therapy or sports medicine at a rehabilitation center may be recommended. If you are relatively young and in good shape, you may be able to return to running and walking after meniscus repair within a few weeks. For most patients, the pain after arthroscopic surgery is minimal and can be handled by taking over-the-counter pain NSAIDs like ibuprofen or naproxen. If you think you have a torn meniscus, give Coastal Orthopedics located in Corpus Christi, TX a call. Our orthopedic specialists can examine you, assess your condition, and discuss whether surgical meniscus repair may be an option for you. Telephone: 361.994.1166.